The affective strength of the book, however, lies not in the dramatic and spectacular interactions between Signs Followers and the visually fascinating snakes, but in Pond’s own shift in experience through the course of the book. This shift was triggered by an extraordinary series of events, beginning with Mack Wolford’s death by snakebite. Pond’s subsequent epistemological and stylistic shifts move the book from a fairly straightforward reportage on a visually interesting subject to a more complex, positioned examination of how faith can strengthen a community. Pond, in the book’s afterword, describes the events leading to this pivot. 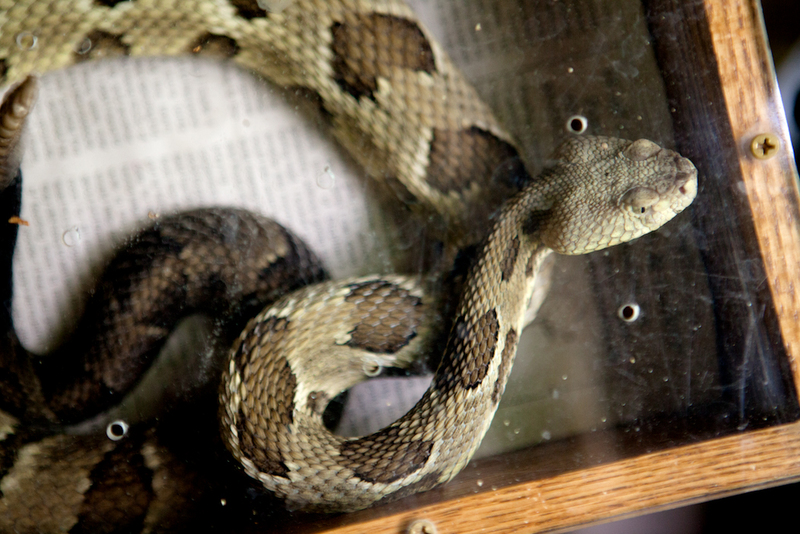 On May 23, 2012, about a year after Pond first met and photographed Mack Wolford, the pastor was bitten on the leg by a rattlesnake at a service. Wolford was taken home and family members asked Pond and two filmmakers present not to photograph him without his shirt. Pond nonetheless did: “If I couldn’t photograph, and I couldn’t call an ambulance without violating his and his family’s wishes, what could I do?” writes Pond, who notes that she thought she could sort it out with Wolford later, after he recovered. Eventually Wolford asked for an ambulance, but the next morning Pond learned that he has passed away. As news of Wolford’s death travelled, newspaper editors contacted Pond for her photographs and, convinced by editors of the newsworthiness of the photographs, she allowed images of Wolford – ones that Wolford’s family had asked her not to make – to be published. Pond powerfully describes her shame and her conflicted feelings about her documentary practices that she experienced as she realized how she had betrayed the family. She was surprised a year later when she was invited back for a ceremony commemorating Mack Wolford; Wolford’s family had forgiven her, and was moving forwards. Her afterword ends describing her ongoing relationship with Wolford’s wife Fran and her family that is based now on shared experiences more than it is on a photographer-subject relationship. Mack Wolford is the focus of the first half of the book, and with the exception of one portrait, the photographs follow the fly-on-the-wall mode of seeing that has defined photojournalism since the middle of the 20th century. This mode offers the photograph as a transparent window onto the world in a way that erases the many decisions that precede, guide, and follow the moment at which a picture is made. Even the photographer is rendered invisible. But as Pond’s relationship to her subjects changed, so did her photography. 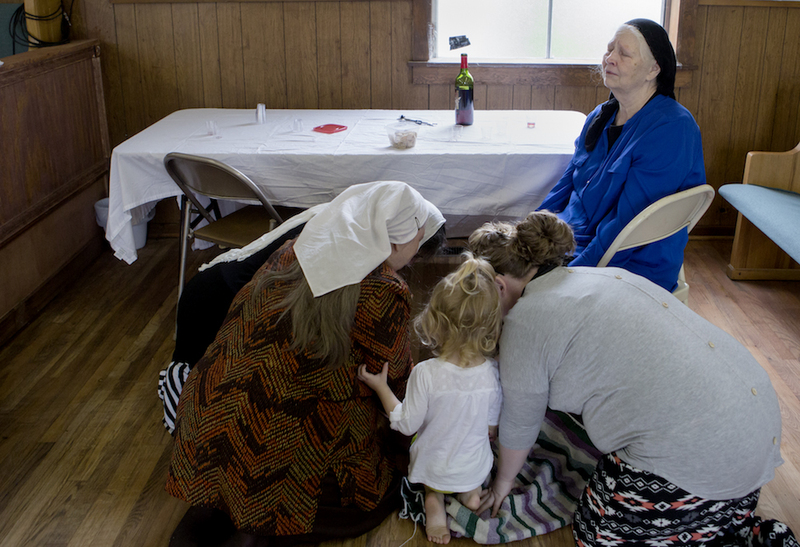 Early photographs of Wolford’s congregation praying, eyes squeezed shut and sweating, feel intense but it’s hard to see past the heightened moment to understand how these services fit into the followers’ lives. As a result, their depiction in a trancelike state feels reductive. The photographs become more rich and complex as the book proceeds; Pond becomes less focused on spectacle and more on the possibility of intricate interior lives. The subjects are no longer defined by their participation in the church. Instead their participation in the church becomes defined by the larger extent of their relationships and beliefs. This is not to say that their faith does not inform their lives outside of services; indeed, we see evidence of the omnipresence of their faith in their homes. But by the end Pond no longer shows faith as spectacular, but as everyday fact. The changes in Pond’s depictions of Mack Wolford’s mother Snook speak to this transition. Snook appears in the book nearly as much as Mack does, and far more than any other person, including Mack’s wife Fran. Snook’s beautiful and worn face recalls the subjects of FSA photographs by Dorothea Lange and Walker Evans that are thoroughly embedded in our shared American consciousness of what it looks like to be noble and suffering, a rural, poor outsider to the cosmopolitan centers of media and image production. 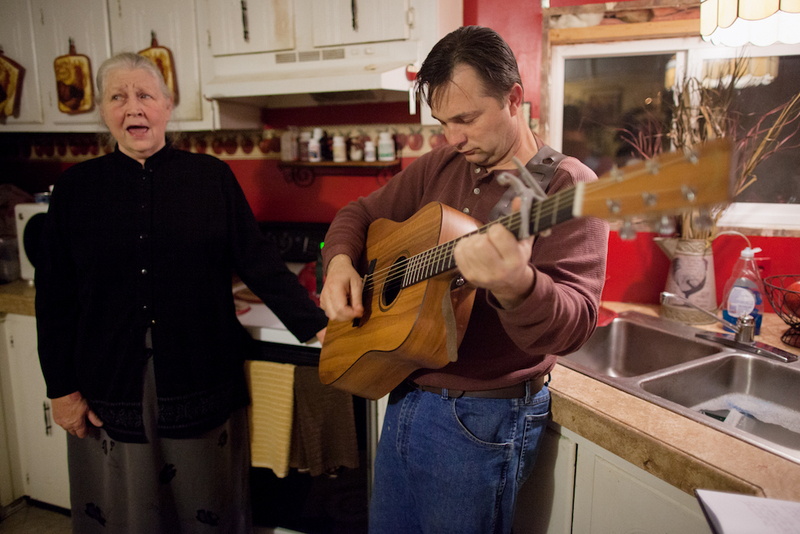 We see her early in the book, singing in her kitchen at Bible study, earnest in expression and gesture. After Mack’s death – after we have seen her express worry and grief - we see her in an increasingly broad and subtle range of situations and expressions. The more we know of her, the less we are sure that we know her, and the more it becomes clear that there is more to know. Our understanding of the lives of the Wolford family increases because of our understanding of Pond’s experience. A book that did not have Pond’s valuable afterword would have been a much lesser thing and Test of Faith is more compelling to me as an account of Pond’s journey than as a documentation of a serpent-handling sect. The book in its entirety does however afford a strong sense of the beliefs and forces that structure this community, how they navigate their own journeys, leaving and returning to churches and managing media attention even before Mack Wolford’s death. Nonetheless, there were aspects omitted that I missed. Wolford was clearly of significant media interest to others besides Pond, and Pond references this in the afterword, but I was troubled that the other filmmakers were not in any of the photographs. For whatever reason this decision was made, its effects are to make the presumed transparency of the early part of the book feel fragile, and to suppress the reader’s ability to consider the services as ritual and performance. I am also surprised that in Pond’s description of her own anguished self-questioning there is little discussion of Snook’s or Fran’s feelings, particularly around their decision to welcome Pond back. Through the second half of the book Pond allows us to look around with her, at the evening and the night sky, at the lace on a window, at the stuff that makes up these homes, and at Snook, closer and closer. To move through this book is to feel the author unwind herself. We feel her taking the measure of the space in which her subjects live. Services that were once photographed as delirious frenzy are now shown as infused with calm, though no less ecstatic. We get a sense that Pond has arrived somewhere very different than where she sought to go when she began, and it also feels like the beginning of a larger story. 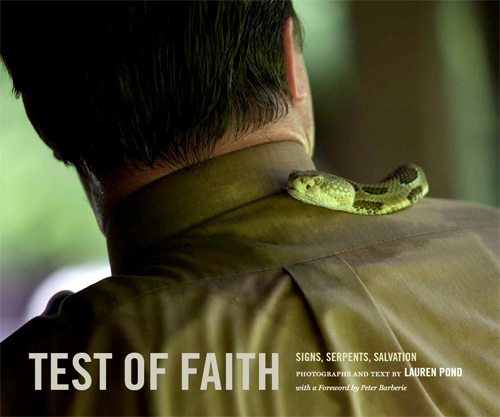 All photographs © Lauren Pond, from Test of Faith: Signs, Serpents, Salvation. Lauren Pond is the winner of the 2016 CDS/Honickman First Book Prize in Photography.